Focusing on "Promoting a multi-disciplinary academic environment" and activating the non-book reference room on the 5th floor of the Main Library. We take the lead in launching the concept of "Activating Space, Innovating Services" and complete "Multimedia Gallery" and "TKU Cinema". 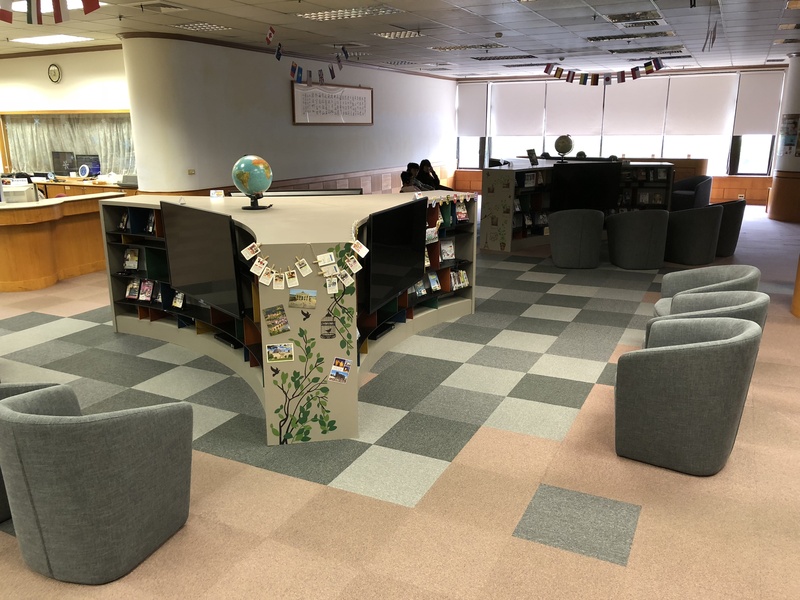 Subsequently, in response to the trend of international trends, we plan to set up a multicultural audio-visual resource area that incorporates the International Department's program of excellence in teaching and learning, including The Magic Crest Area and 3C Island. We provide six small four-seater areas with high-quality multimedia equipments, and arrange them to a multi-culture area named Multi Zone. The idea of the name is taken from Multi-language, Multi-culture, Multimedia, Multi ... and "Magic Flute", one of Mozart's opera works. Mozart put the forms of music and drama of the European countries before the eighteenth century in his work that was coincided with the concept of multiculturalism. That is why we named after the homonym of the magic flute. 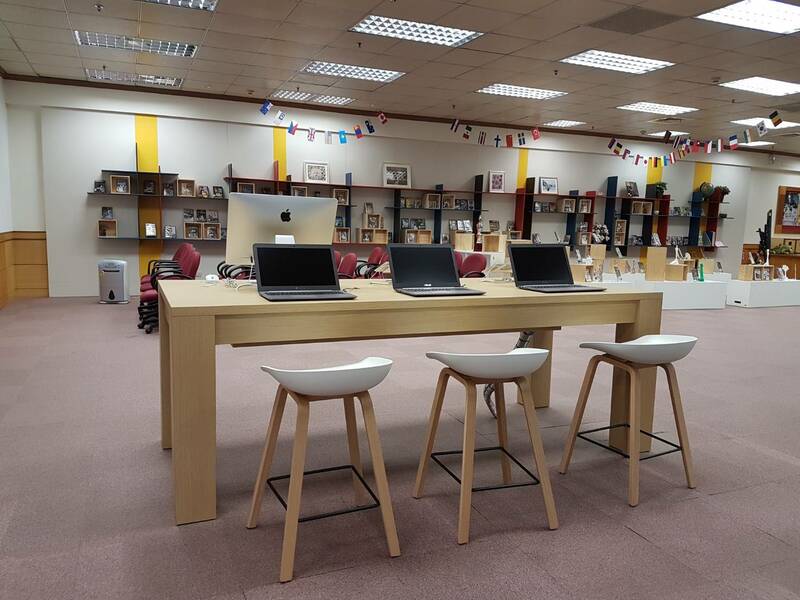 We provide new equipments such as the iMAC, iPAD and notebook computers, which are beautifully designed and integrated. We will enhance the use of multi-lingual learning resources and provide a self-learning multi-lingual learning environment to enhance our foreign language skills. We re-created a red, blue, black grille layer in the entrance with medium and small wooden boxes which has information display and small bench Function. The gallery is used for theme video display area, We will regularly hold a variety of audio-visual materials exhibition. For producing a cinema similar to the big screen effect, we use the lift-type projector to put video screenon on the wall as the screen , so that students feel like exposure to the cinema. 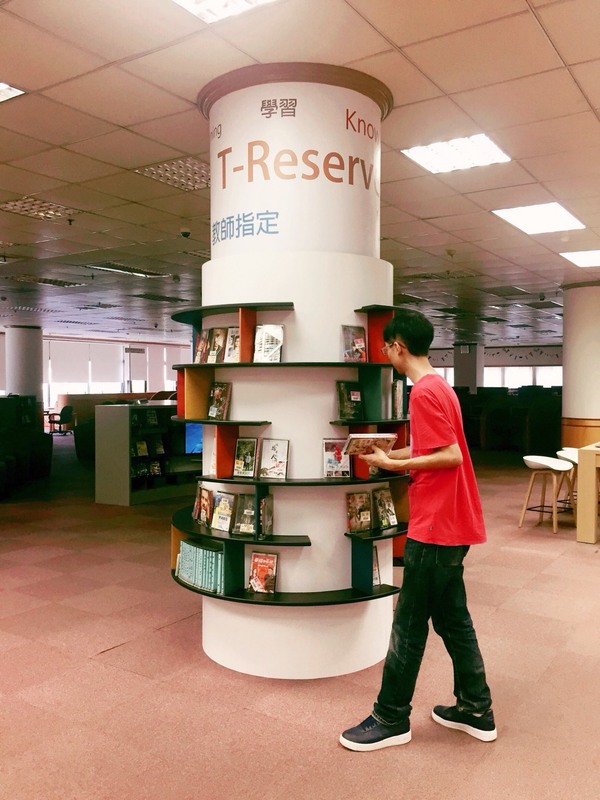 In addition to playing movies related to themes of audio-visual materials exhibition and new arrivals, TKU Cinema will be the place getting students together. The new display space for course reserves will exert multi funtions of collecting, display and education. 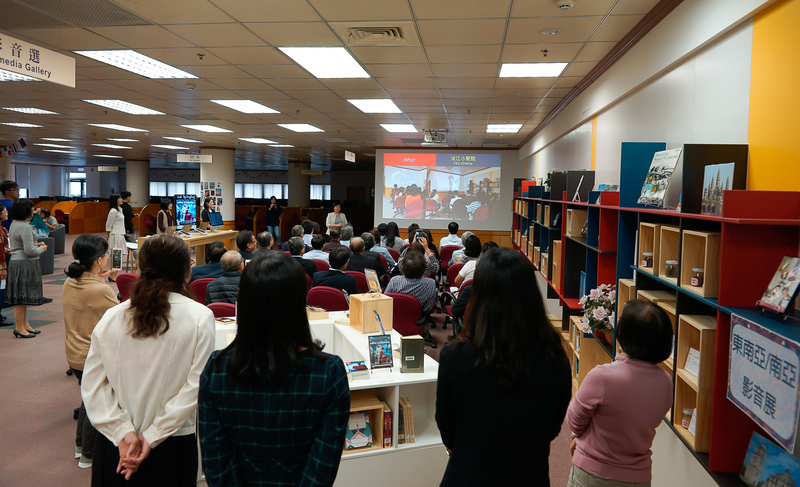 On November 15, 2017, the Non-book Section of the library held the opening ceremony of "Exhibition of Wings of the Soaring Focus on International Culture, Communication and Sharing" to introduce the space innovations on the Non-book Section. We invited Professor Tadashi Tada from the Department of Japanese and teacher Chunshan Ping from the French Department to share their experiences in using our new spaces. After the reopening, professor Song, the library Dean, led a tour for President Zhang, Academic Vice President Ge, Executive Vice President Hu, International Vice President Dai, and other heads of departments to enjoy the new space after transformation.